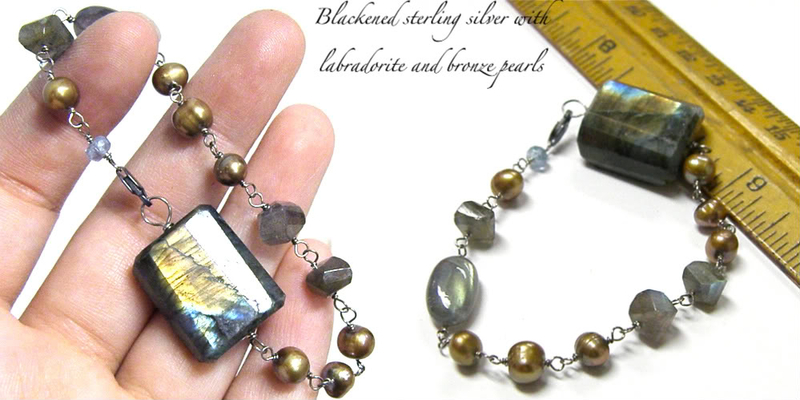 Dark and stormy, this hand crafted bracelet features flashy labradorite gemstones accented with natural bronzy pearls. 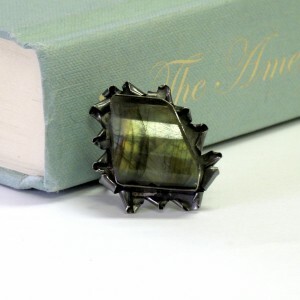 Flashes of blue, yellow, green, and coppery orange naturally occur across the surface of these lovely labradorite gems when the light hits them at the right angle. 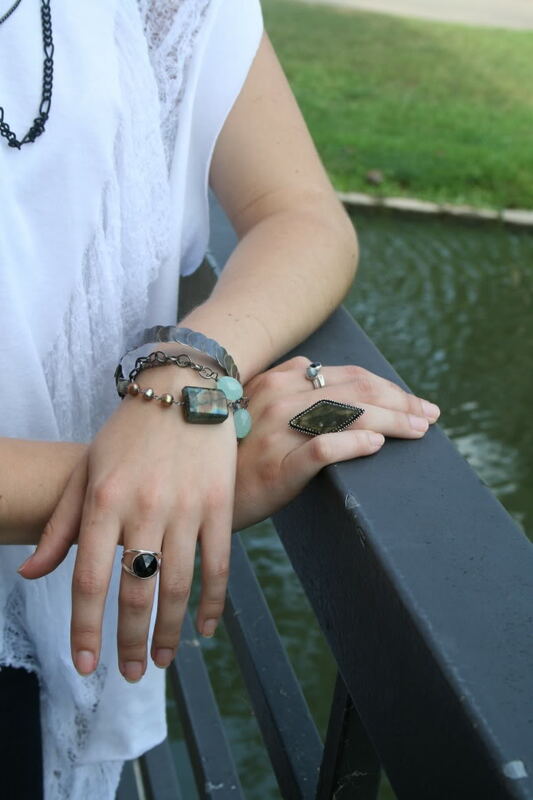 The bracelet has been hand-wrapped link by link in oxidized (darkened) sterling silver, and measures 7.5 inches. 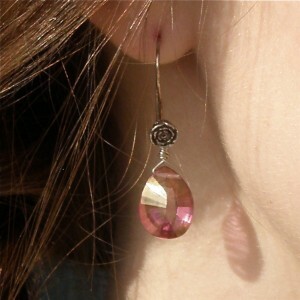 A petite faceted aquamarine provides a delicate blue accent beside the sterling silver clasp. 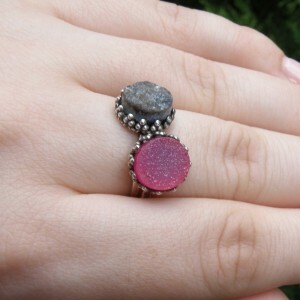 Categories: Bracelets, Inspirations Collection, Mist Collection. Tags: forks, freshwater, genuine, labradorite, lobster clasp, mist, overcast, oxidized, pearls, rain, rainy, sterling silver, stormy, twilight. 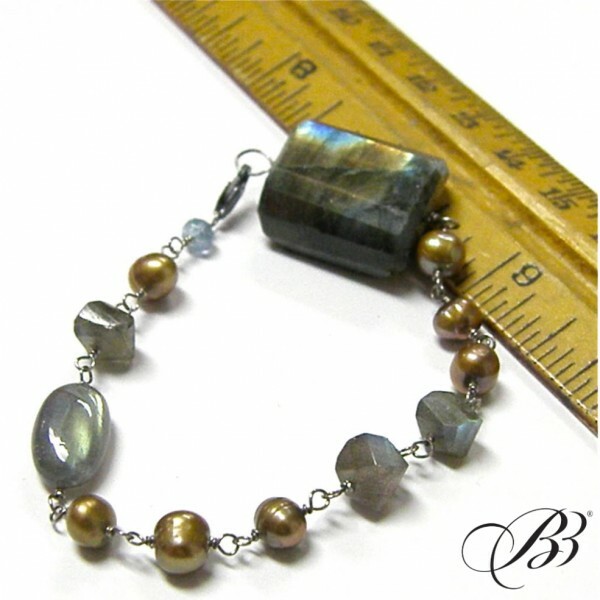 Dark and stormy, this hand crafted bracelet features flashy labradorite gemstones accented with natural, bronzy pearls. Flashes of blue, yellow, green, and coppery orange naturally occur across the surface of these lovely labradorite gems when the light hits them at the right angle. 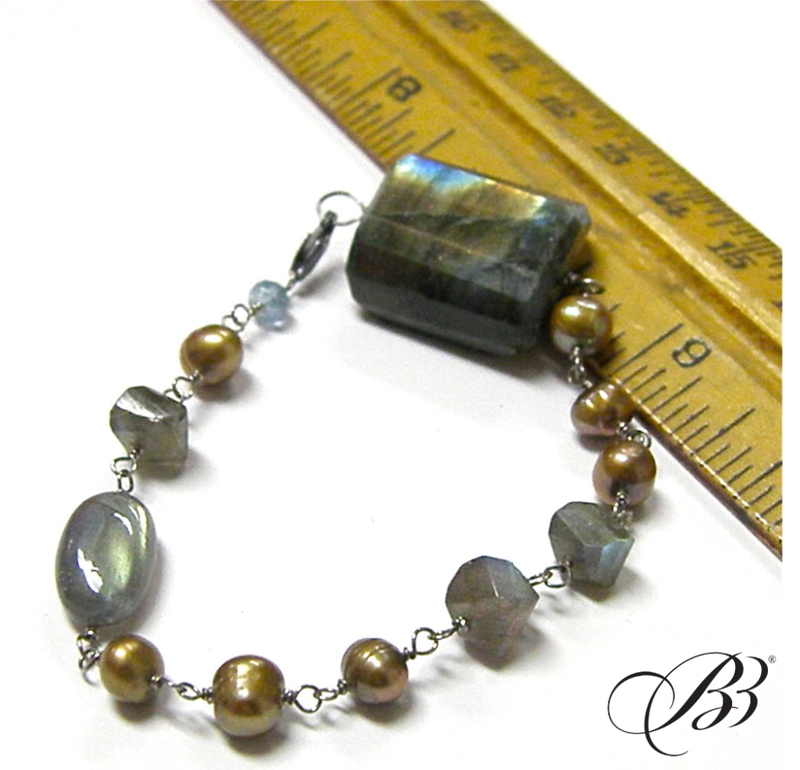 The bracelet has been hand-wrapped link by link in oxidized (darkened) sterling silver, and measures 7.5 inches. A petite faceted aquamarine provides a delicate blue accent beside the sterling silver clasp.